"There's Someone Laughing Every Time You Fail"
Presented by Kevin Martinez and Matthew Corozine Studio Theater, Inc.
DOG SEES GOD was first presented by Sorrel Tomlinson / File 14 Productions at the 2004 New York International Fringe Festival, a production of The Present Company. My high school happened to be in a liberal white neighborhood in Colorado. Yes, only a 30 minute drive from Columbine (the infamous shooting happened 2 years before I enrolled), but generally safe and isolated from harsh realities. We had the IB Program, sent kids to National Ultimate Frisbee competitions, and were ranked 111th best high school in the nation by Newsweek the year after I graduated. 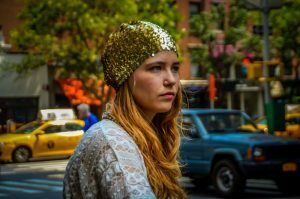 Of course I faced challenges as a teenager: feelings of isolation, loneliness. The fallout of moving after a devastating fire in my home town the year before. Malaise at feeling unpopular and unwanted. General teenage angst. Looking back, high school could have been a whole lot worse. The transcendent talent of many playwrights, directors, and actors is bringing us face-to-face with something unfamiliar. They make it so recognizable that we unwittingly step into the lives of characters and feel, live, breathe, react as they do. That is the beauty of Dog Sees God. 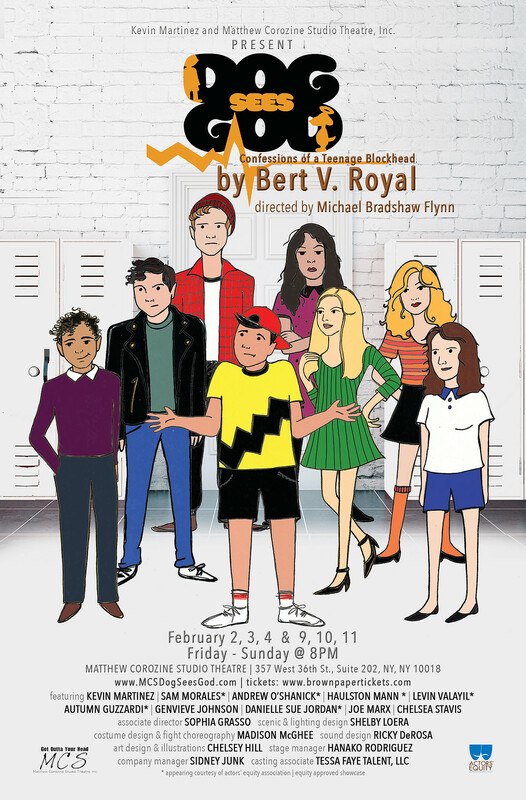 This play is an unsanctioned riff on the Peanuts comic strips, with the beloved children thrust into the fluorescent demands of adolescence. Childhood sexual abuse, drugs, alcohol, identity, bullying, and death are deftly examined, and I'm sure no audience member is left wondering how to connect - we all dealt with something in high school, or are dealing with it now. The first half of the play is an exploration of identity, and I was left wondering how much we are given and how much we define ourselves. All except CB, the Charlie Brown character, are reduced to stereotypes - the pothead, the bully, the ditz, the party girl, the nerd, the goth. How much of this is by their own volition, and how much is due to their surroundings, upbringing, friends, and cultural context? We feel an affinity for CB partially because he is the stereotype of "normalcy." He's predictable. Midway through the play we are heaved from gentle laughs and fond reminiscence of Sunday comic strips to a plot about homosexuality, homophobia, and bullying. SPOILERS ahead, so reader beware. In a tragic nutshell: Kids are making fun of Beethoven for maybe (maybe!) being gay. He's bullied. He plays piano to escape. One day, CB kisses him. The next weekend, CB kisses him again at a public party. They are both ostracized. The "Pig Pen" character breaks Beethoven's fingers because he thinks Beethoven stole his best friend (CB). Beethoven kills himself. To summarize does false justice to an intimately beautiful plot and shocking ending. What starts as high school identity drama in nostalgic sepia tones becomes harshly lit reality. CB says, "I had evolved more than I ever wanted to," and we, the audience, have as well. These kids are forced to grow up and in a poignant, stinging jab he reflects, "Somewhere there's someone laughing every time you fail." That someone is us. Laughing when he doesn't kick the football. Laughing at unrequited love. Laughing at a few lines on paper that were rarely laugh-out-loud funny, but rather morose in the cold light of hindsight. The importance of Dog Sees God is that I felt - for a moment - as if it were real.